Your expanding business needs easy-to-use yet powerful accounting, inventory, and reporting functionality. Sage 50 Premium Accounting 2017 provides at-a-glance dashboards and management centers, plus budget and analysis tools to help you make confident decisions. Consolidate multi-company financials, compare multiple budgets, track job change orders, and create custom reports for greater insight. Plus, Sage 50 comes fully supported and includes automatically delivered updates; access to help and advice by phone, chat, email, and online; and customized reporting, all part of an auto-renewing Sage Business Care plan. Save time and money and accomplish more every day with Sage 50 Premium Accounting. Its a new way of working! Expertly manage your expanding business with insight into key information that you can access anywhere, any time. Collaborate in real time with your accountant. Share access with remote employees. Available for up to 5 users. 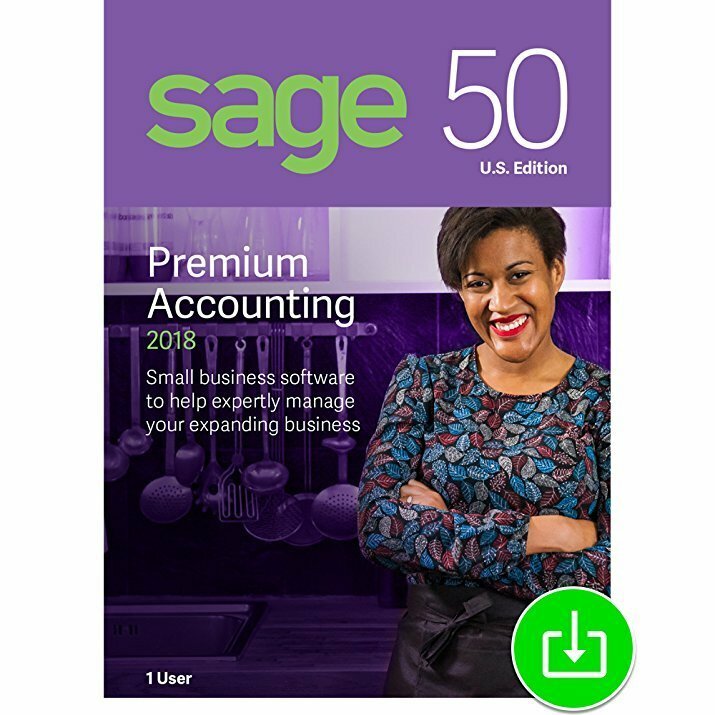 Sage 50c Premium Accounting comes fully supported with unlimited access to support, automatic updates, and the freedom to add the right services for your business?payroll, credit card payments, or both!